OWNER SAYS SELL, SELL, SELL. Price now reduced to $15,000 and all sensible offers will be forwarded to the owner for review. Classic 24' Timber Launch re-powered with a Nanni 3 cylinder 24hp diesel with a 70 ltr tank. Built around 1930's of Huon Pine on Spotted Gum Frames "LADY IRIS" has a lot to offer for those enthusiastic about timber boats. 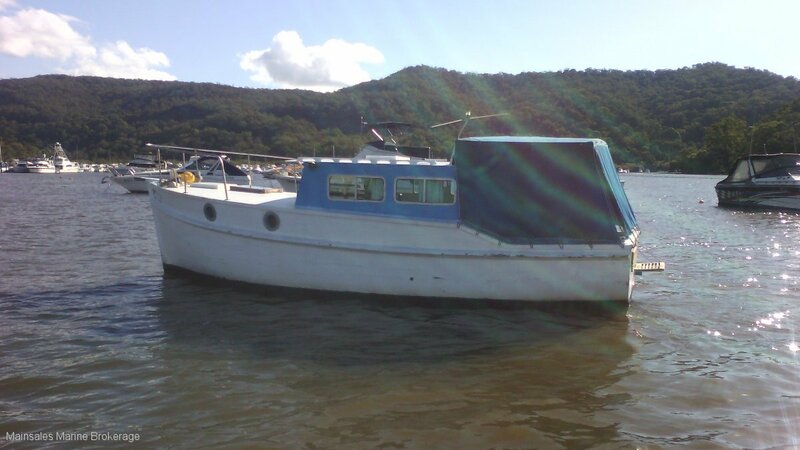 Sleeping for 4, Chemical toilet, gas 2 burner stove, electric / solar bilge pumps and basic safety gear. This could be your opportunity of getting on the water without spending a fortune. Please call our office to arrange a suitable viewing time.